Want the NB backstory? Check this out. Featured as part of David Gandy's 'washbag' roundup. "..the perfect January pick-me-up to instantly improve the look and feel of your skin." "Facial Oils are big news, and the choices available just keeps getting better and better." 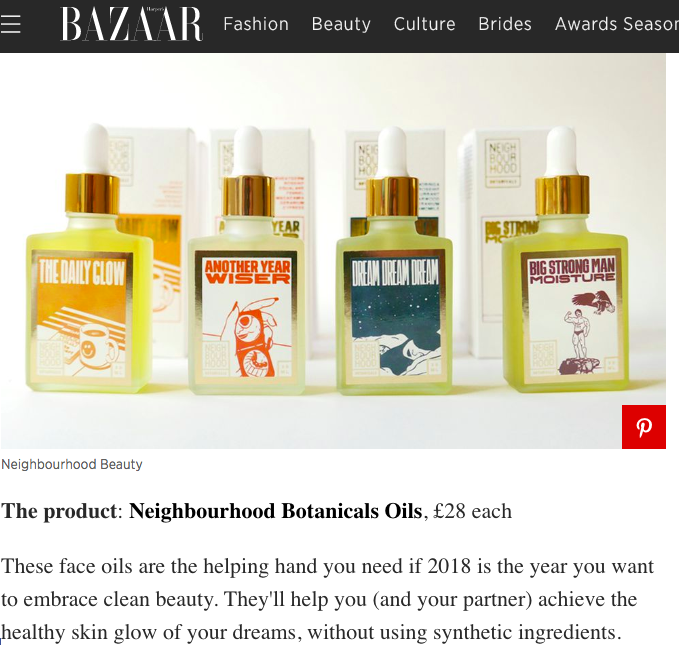 "Dublin-born rapper Rejjie Snow has joined forces with Berlin-based natural skincare brand Neighbourhood Botanicals to create a one-off facial oil entitled ‘Young Luv’." "Everything about Rejjie Snow is smooth—including his face—so it makes sense that he would team up with Neighbourhood Botanicals on a limited-edition facial oil." Big Atrong Man Moisture featured. "I lived in Australia for ages and so I’m hyper aware of sun damage. I like using natural products from brands like Grown Alchemist. 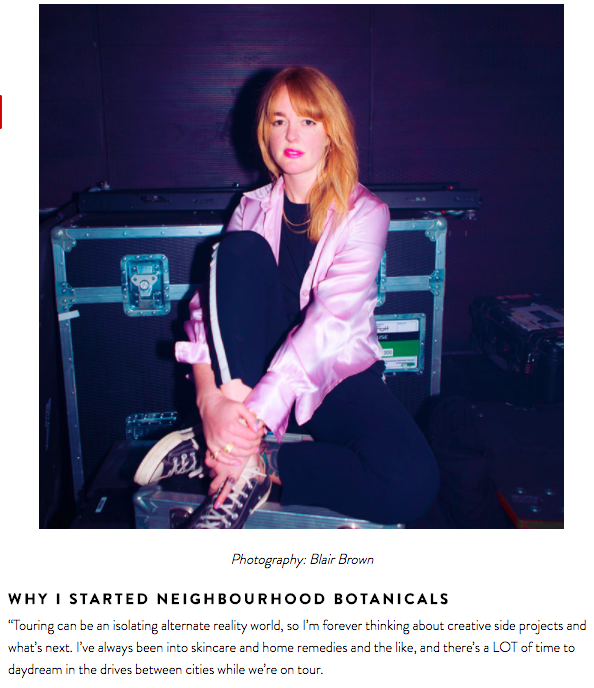 I also have an Australian friend in Berlin who makes beautiful botanical face oils called Neighbourhood Botanicals." "...my skin tone improved after about 3 days. Redness has simply disappeared and the skin feels much smoother with the oil. I shave every day and have the feeling that the skin is less irritated by the oil." Featured in the Valentine's gift guide, Feb 2018. "With its aromatherapeutic effect, the face serum is also a fabulous aroma therapy during long flights." 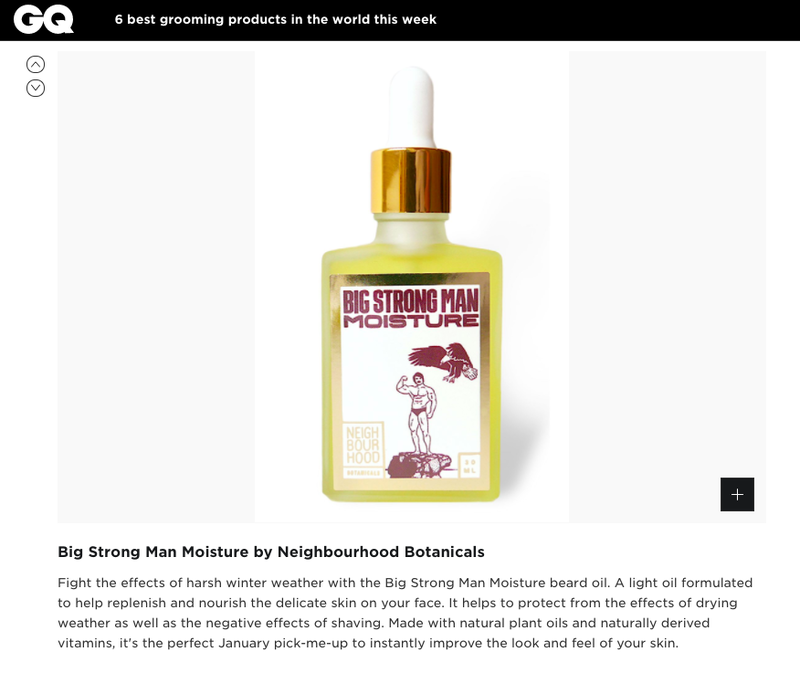 "Neighbourhood Botanicals prove that protecting-against-cold face oils aren't just for girls. This Men's Oil is a hearty dose of clean beauty for your face." "I’ve been using this oil for a few weeks now and I’m really loving it."